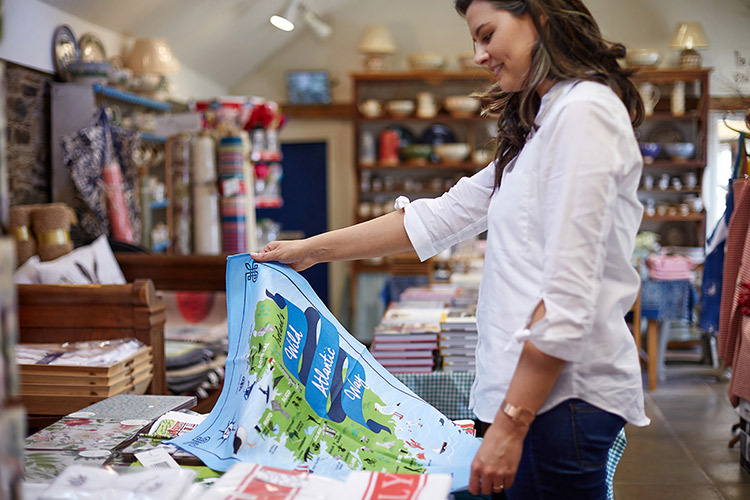 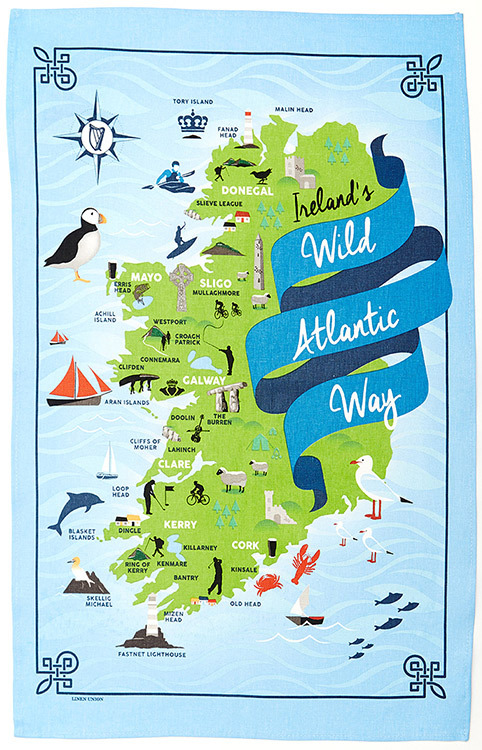 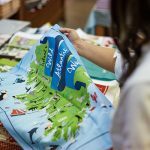 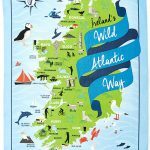 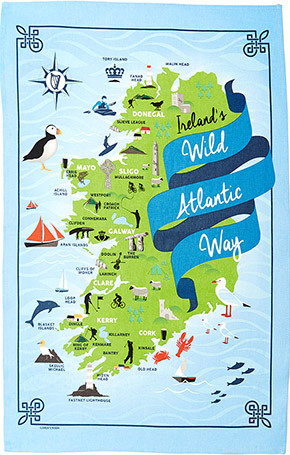 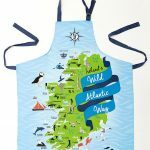 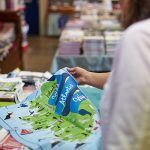 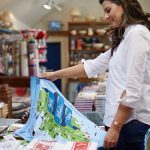 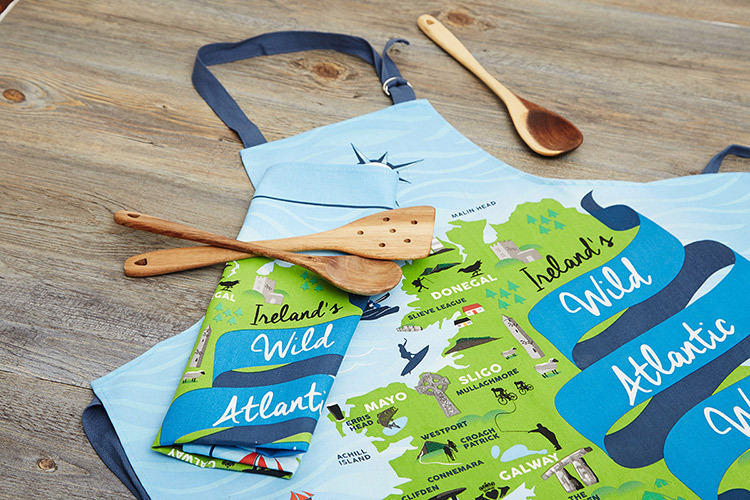 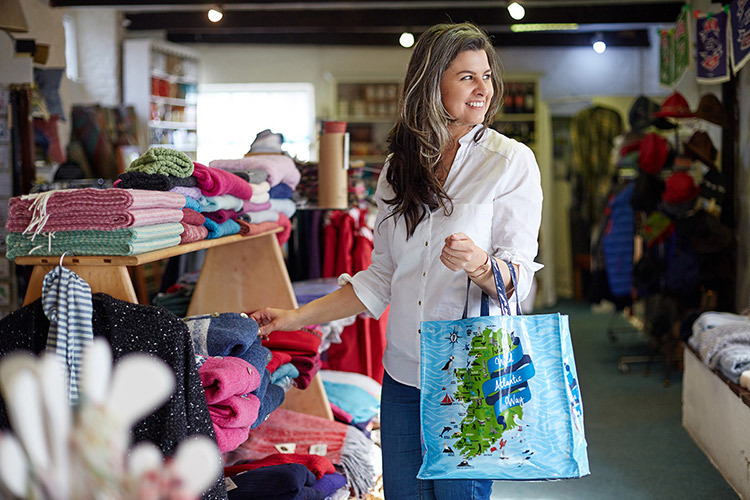 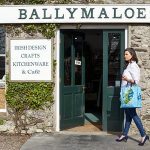 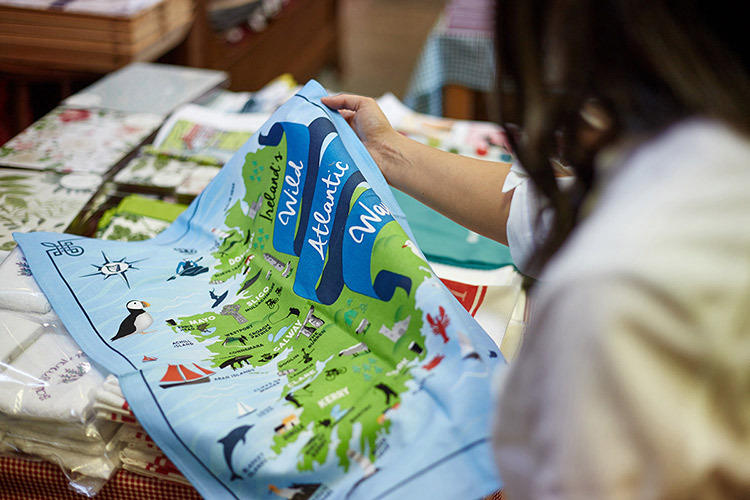 Loominations’ hugely popular Wild Atlantic Way Throw Blanket design has been transformed into a vibrant apron, carrier bag and tea towel. 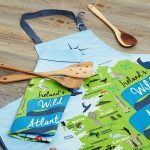 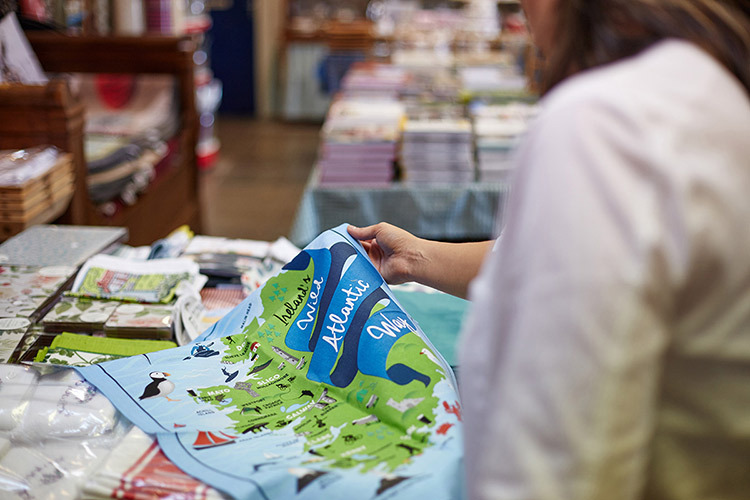 Ideal souvenirs of travelling the Wild Atlantic Way or surprise someone with a gift to remind them of their Wild Atlantic Way adventure. 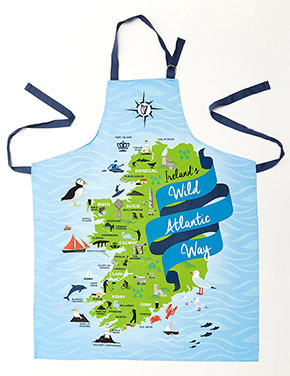 This generously sized apron produced from 100% cotton makes a perfect, practical gift. 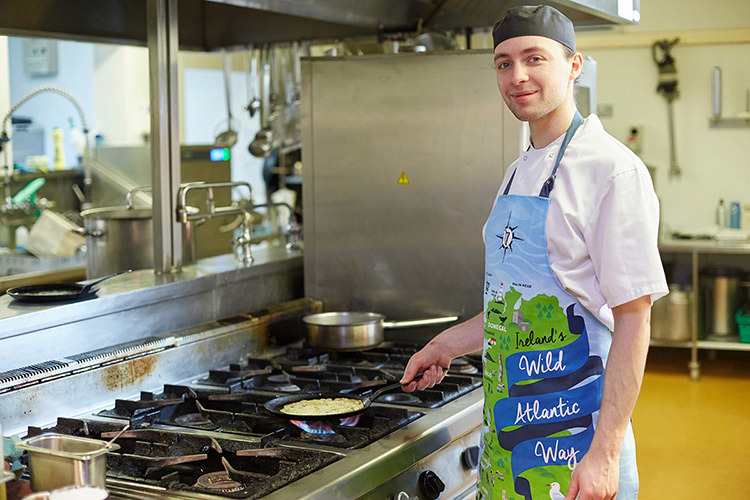 Apron has a D-Ring adjustable neck. 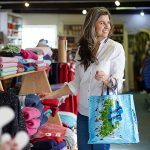 Easy care for machine wash and tumble dry. 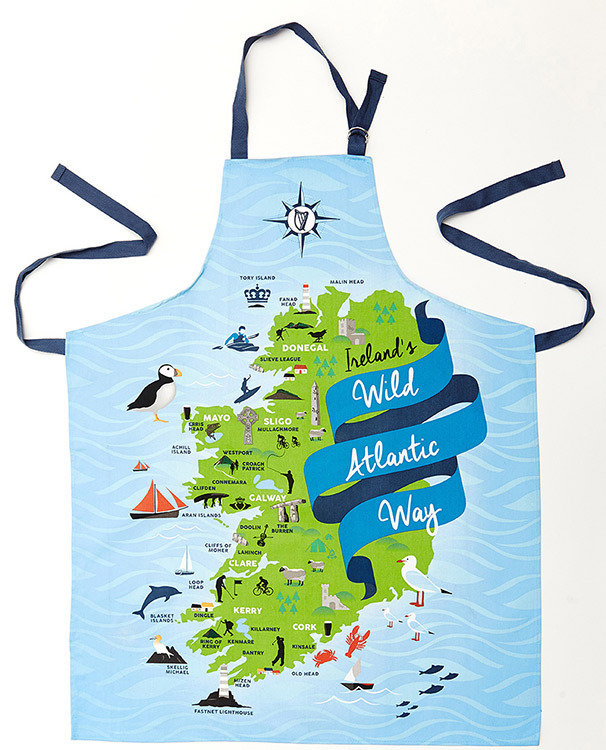 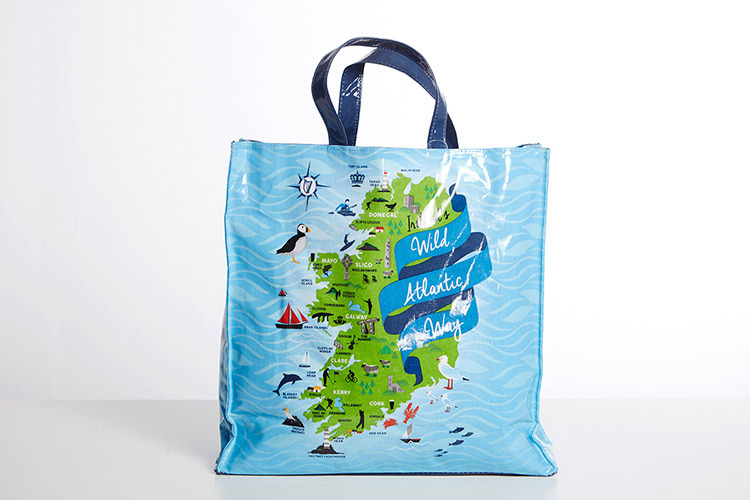 Carry a bit of the Wild Atlantic Way wherever you go! 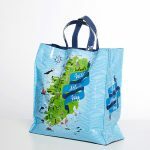 The PVC Coated Gusset Bag is strong and extremely durable. 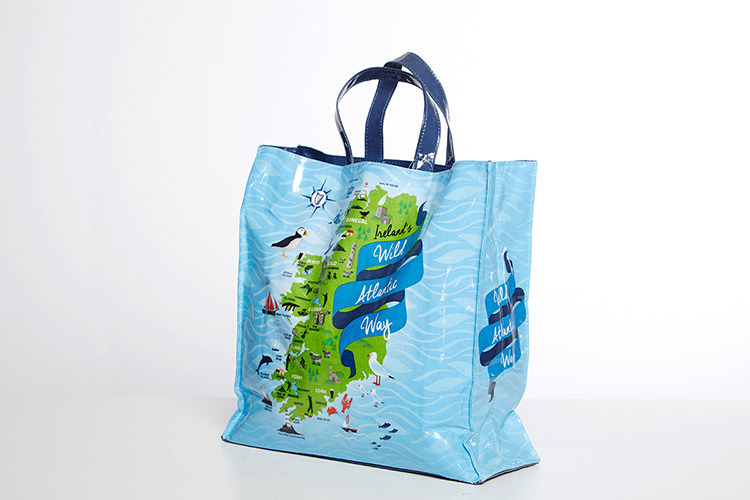 Fully lined with a zipped inner pocket. 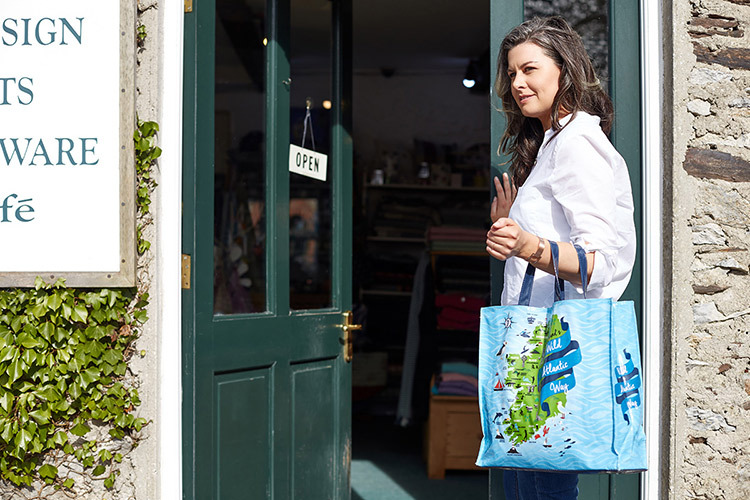 Ideal bag for all your shopping and to use as a reusable tote bag. 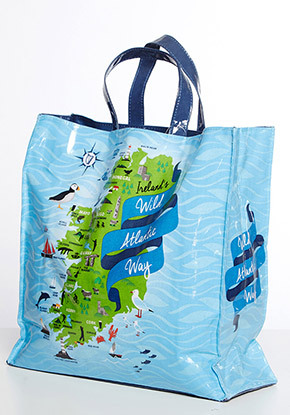 Makes a perfect hold all for a trip to the beach too. 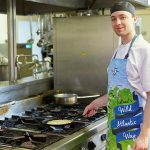 Cotton/linen combination in bright colours will make washing up a pleasure. 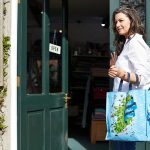 ALMOST SOLD OUT. 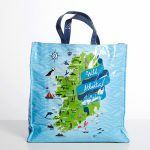 PLEASE EMAIL info@loominations.ie TO CHECK AVAILABILITY BEFORE ORDERING.